Ok guys, I get the message. Like I have said a hundred times before, I get busy, I forget to update, and then it gets to be too long since I have updated which in turn makes me feel overwhelmed and I never know where to start so I just put off updating until it has officially been almost 2 months since the last post and people start calling me to make sure I am still alive. Yes, I also know that was a run on sentence. All this to say, thank you all for loving me enough to me upset when I do not update. I will try to do better. Well, school is in full swing. I had the most amazing summer of my life, and going back to school, I think I expected to feel something different... like maybe I would walk into my classroom never having looked at my notes and be able to impart all sorts of profound knowledge on my students and they would all leave my classroom with smiles on their faces thinking "wow, I feel so much more well rounded because of Mrs. Dodd". In reality, it feels exactly like it does every year. I am not saying this as a bad thing, just a fact. Whether a high school student understands or is lost in la la land, you get the same reaction - blank stares. My favorite project is coming up though, and this is one that I always get surprised exclaimations from my students - portrait drawings. I think so many people are so frightened of drawing a person, which I totally understand. But if you know the rules and let go of your inner editor, you can do it! Go ahead, finish laughing and then I will move on. 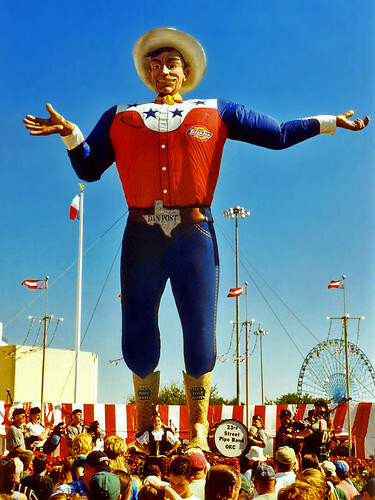 My favorite season of the year is here - State Fair of Texas. I love this almost as much as Christmas. For those of you who aren't teachers and don't get a free fair ticket (don't be too jealous, we get paid crap and work the equivalent of 10 full time jobs to get that fair ticket! ), here is a blog which details some ways to get discounted admission: GO HERE. Drew and I plan on going on Sunday. I'll try to post some awesome photos of our adventures. Also coming up in Dallas, the Urban Street Bazaar in Bishop Arts District. Although I have already bought a few Christmas presents so far, this is where I plan on doing a lot of damage to the shopping list! So many amazing local artists selling their work - everything from baby to dog to gifty things to pottery to jewelry to everything in between. If you have never been to the Urban Street Bazaar before, GO! Just about every day, I say "I should blog about that". So, now after 2 months, I have forgotten all the things I have reminded myself to blog about. Hope this will hold you over until next time! Which will hopefully be in less than 2 months!